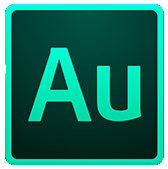 Adobe Audition CC software delivers the cross-platform tools that video and film professionals, broadcast engineers, and audio specialists need for recording, editing, mixing, creating soundtracks, and restoring audio. A new, high-performance audio playback engine drastically speeds up operation; enables work on multiple simultaneous audio and multitrack files; and allows effects, noise reduction, and audio sweetening processing in the background. 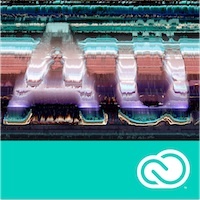 Royalty-free content makes creating sound beds, scores, and soundscapes easy. Native 5.1 surround sound capability and roundtrip editing with Adobe Premiere® Pro CC software promote a smooth video production workflow, while Open Media Format (OMF) and XML support project exchange with Avid Pro Tools and third-party NLEs. This class is designed for those who want to learn music production and composition using Adobe Audition. Basic knowledge of audio terminology is recommended.